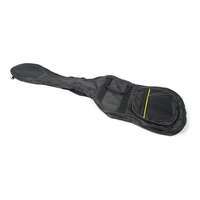 Left-Handed Electric Guitar padded carry bag from SWAMP. 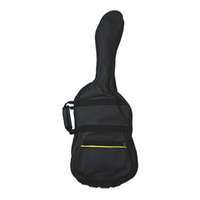 This bag is designed to fit electric left-handed guitars with the fender style of body. 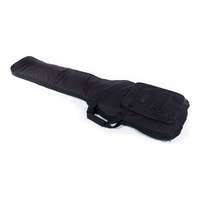 Left-Handed Electric Guitar padded carry bag from SWAMP. 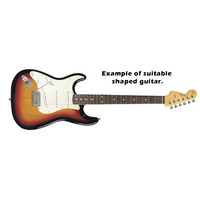 This bag is designed to fit electric left-handed guitars with the fender style of body, as shown above. 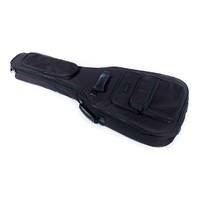 The bag is light and easy to carry and features adequate protection for all guitars and is a great option over a hard case when lots of walking needs to be done. The bag also feature back straps, for easy carrying as a back-pack. 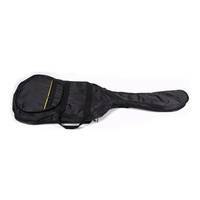 The bag is 105cm long, 35cm in width at the widest point and has an approximate depth of 6.5cm. 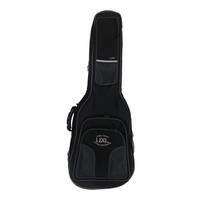 We also stock another electric guitar bag that suits most other styles of electric guitar. 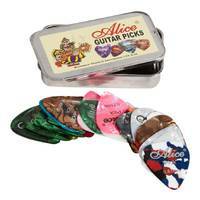 Check our eBay store or website.